HomeThe Pleasure Island Model at Night. 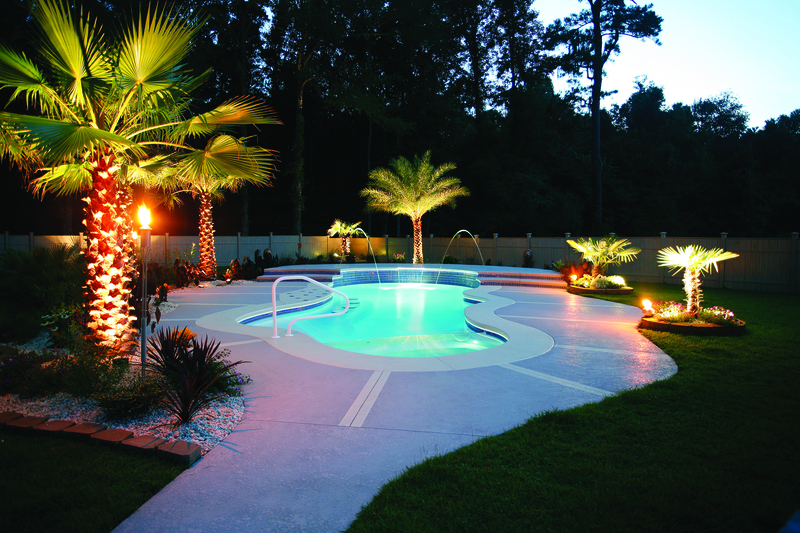 Great looking pool, it is stunning at night ! !